A lot of people like music. Most, I think. So it figures that some makers are also audiophiles. Audiophiles usually have a thing for records, so it makes sense that one of the first music-maker mashups was the customizable, 3D printable Fisher Price Record. But then came actual working records! Now VPI Industries has turned their focus to the printable hardware of turntables. VPI produces record cleaners and high-quality turntables, and now they’re looking to 3D printing for more modern manufacturing methods. 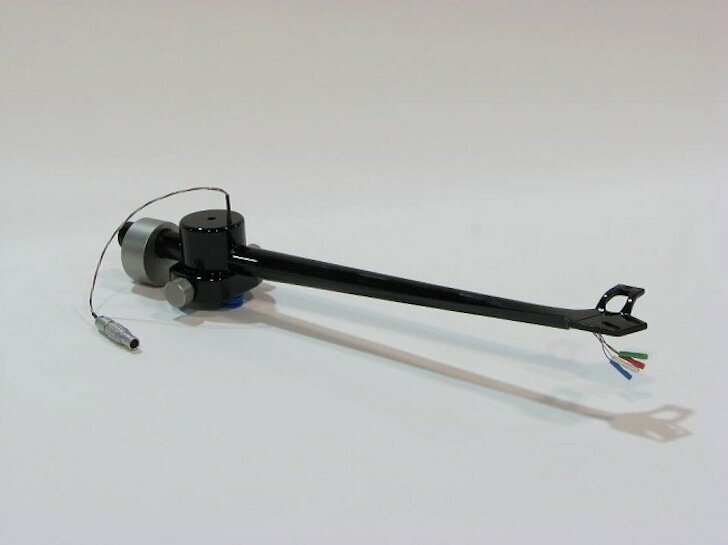 A design firm in Pennsylvania was commissioned to develop a 10-inch tonearm that comes out of a 3D printer, and they delivered. According to the finely tuned ears of a group of audiophiles, the printed tonearm does well up against some pretty expensive competition. It’s all a single piece and incredibly light. Though, for some reason, it took 24 hours to print. VPI hopes to offer the tonearm in 9-inch and 12-inch versions as well, for their turntables and others’. Personally, I’m not very familiar with turntables, so it’s difficult for me to speculate on what else of them is printable, but I’m sure there’s plenty. If you have any ideas, let us know in the comments.